In Loving memory of Dr. David Alan Beale, 1931-2018. Dr. David A. Beale passed away in the evening of Sunday, September 9, 2018, at Stormont Vail Hospital in Topeka, Kansas. On May 2 this year, he celebrated his 87th birthday. David is survived by his sister Inez (Harrell), his son Daniel, daughter Nathalie and grandchildren Anna, Clio, Rowan, and Freya. He is also survived by his former spouse Estela (Martin), mother of his children, and his nieces, nephews, and, sister-in-law. Dr. David Beale graduated from Whitman College in Walla Walla, Washington and the University of Washington Medical School. Interested in social issues, he became concerned with the treatment of inmates. He developed an interest in therapeutic community working with inmates and Dr Jones from Scotland.A Captain in the Army, he served at Spandau Prison in Germany, after which he backpacked for 6 months in Germany, Russia, Mongolia, India, Israel, and other countries. . He came to the Kansas Reception and Diagnostic Center, met his future wife Estela in 1963, and Karl Menninger, who got him interested in the Menninger School of Psychiatry(MSP). He graduated MSP in 1964, and went on to graduate from the Topeka Institute for Psychoanalysis. He married Estela 7/2/64, they divorced in 1974, and had their two children, Daniel and Nathalie. Working at Menninger, he was a staff psychiatrist on the newly developed Short Term Diagnostic and Treatment Unit (SDTU) in 1970, and by 1976 he was the Section Chief, a job he held until retirement in 1996, along with teaching at the MSP. He applied his interest in therapeutic community on SDTU, a powerful treatment tool, focused on group therapy, and he maintained a particular interest in psychodrama. Following his Menninger employment, he traveled and did locum tenens work several places, including in Texas, and became a regular at the Marian Clinic, a free clinic in Topeka. He had prodigious interest in learning, attended multiple courses at Washburn University, and studied languages including Arabic and Russian throughout his later life. 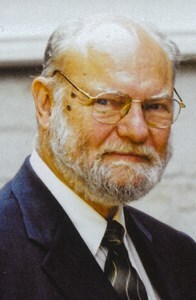 He was active in study groups, including a French reading group and group studying evolution and human behavior. He was a compassionate friend who maintained close connections with Peter Novotny, MD and Joe Kovach, PhD, a Menninger researcher, as they aged. He attended the Topeka Friends Meeting in Topeka for a number of years. He was helped in the last years of his life by Jennifer Welch, who went above and beyond in caring for him at his home. An intensely private man, many of us never knew of Dave’s many interests, activities, and endeavors. He was a giving man, a smart man, incredibly well read, a mentor, a good psychiatrist. He could be hard at times, but life is hard at times. He could be stubborn, but life demands that too. He was warm, dedicated, compassionate. He listened. He did not stand on formality. He was humble yet he could be superior too; and he was a superior thinker. He was a complex mix, very human ... and he was thinking about life's important questions to the end of his. He is missed. A celebration of life service will be at 3 p.m., Sunday, November 11, 2018 at Dove Cremations & Funerals, Southwest Chapel, 3700 SW Wanamaker Rd., Topeka, KS 66610 with a reception to follow. Reverend Tobias Schlingensiepen will officiate. To leave a special message for David’s family, please click the Share Memories button above. Add your memories to the guest book of Dr. David Beale. Dave came out to our home many times to share in our family dinners and other gatherings. He was always a valued guest. He and Jeananne knew each other from working at Menninger's. One of our special memories was sitting out on our deck with him while others of our family were shooting off fireworks as we celebrated July 4th. Scorpio was just becoming visible in the southern sky and he commented on it's stars. David and Peter Novotny so often joined me in spending time with my father, Dr. Karl, in his last years. David continued to be a friend whom I’d enjoy chatting with whenever we ran into each other. This past summer, we finally had time to talk at length, while we were both residents of a rehab center for a few weeks. I was greatly saddened to learn of his death; and regret that I’ll be out of town the day of his service. I met Dave over 40 years ago when I worked at STDU and our paths have crossed many times since then. He was one of the brightest people I have ever known. I was constantly impressed with his thirst for knowledge and his kindness. He set an example for how to continue to grow even after you leave your “job”. I am sad that our paths will not cross again .